As the cool Autumn temperatures lower even further for oncoming Winter chills, it's the best time of year to make sure your home and gutter system is ready for the fast approaching Winter weather. Although gutters are often 'out of sight, out of mind,' they play an extremely important role in the maintenance of your home; diverting rain, snow & debris from your roof, home & foundation, and can greatly preserve the life of your home. 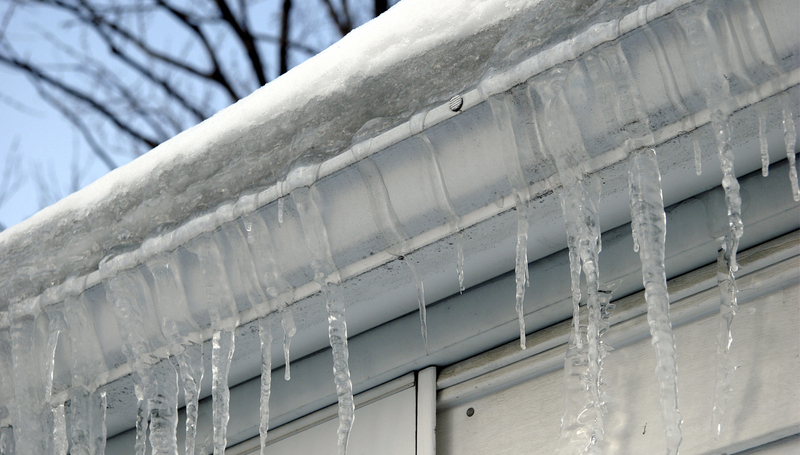 By following our Top 5 Tips you can make sure your gutters are Winter ready. While probably the largest chore on the list, it is certainly the most important. Keeping your gutters clear means they are much less likely to get blocked and over flow. In troublesome weather this will be extremely detrimental to the prevention of external damage to your property. We recommend using a wet and dry gutter vacuum system, like a SkyVac, and contacting your local gutter cleaner at a small price to do the job for you! This will save you climbing any unsafe ladders and getting your hands dirty. Being observant is the best thing you can do when it comes to property maintenance. Check your gutter seams and anchors are all free from leaks, rust and lose fittings. If you spot any damage you should call a professional to come fix them before they can lead to the erosion of your fascia's, siding and foundation to your building. Any blockages or backup within your downspout can lead to disastrous results in harsh weather. Come the freezing temperatures and heavy downpours, the debris and clogs can freeze up and leave resulting cracks with permanent costly damage. If the downspouts are clear, then they should be directing water flow at least 10ft away from your home. If the water pools near your property this can lead to structural and foundation issues later on. Be sure to look out for signs of mould, stains, small cracks in and around your home – and don't forget to double check your properties foundation. These are all key indicators for some much-needed clearance and repairs. Be sure to call in a professional quickly, before a heavy Winter storm, snowfall or shower hits.